I became fascinated with astrology when I was only about 12 years old. Since I am way past middle age and well into my crone years, my studies started back before the time of personal computers. I read whatever books I could get my hands on (mostly from the public library), and I sent away to the Rosacrucian Society for a manual to help me cast astrological charts by hand. I don’t think I could cast one this way myself nowadays, but I could do it back then. I even got to where I could look at some people and know their sign, and I would be right! Having been such a devotee of astrology and having used the common western tropical system for so many years, it might seem strange that I would switch to a whole different system that actually makes me a different sign. The reasons to switch and the evidence I found, however, made me make up my mind in favor of using the sidereal system. Some of the things I found out about the tropical astrology system, which is the system used to write most of the astrology columns that you see in the newspapers were eye opening. I learned that astronomers, those scientists that study the stars and planets and have nothing to do with astrology, see different constellations when they observe the sky than the tropical astrologers do. Actually…. I don’t think astrologers look at the constellations through a telescope much. On December 7th, for instance, astronomers see the constellation Scorpio in the sky. Most people born on that date would think they were a Sagittarius, but that’s not what the astronomers see in the sky! Astronomers use …..wait for it!…….a sidereal system when they observe the cosmos. That was what really convinced me to switch to Sidereal Astrology from Tropical Astrology. You can’t argue with the facts. In India they have used the sidereal system all along. The first time I visited a Jyotish website and got my free chart calculated I thought they had done it wrong. Moon in Pisces? Nah, it’s in Aries! Then I got the explanation: they use the sidereal system. Intriguing. …Here was an entire civilization that had been casting horoscopes differently for hundreds of years. Many die-hard tropical system astrologers argue that the Indian system is ancient and so works for a very spiritually oriented country. How do you figure?? They are using the up to date constellations that the astronomers are using! It seems like the westerners have been a little more backward than India has been, since I think that’s what they are implying. Just saying…. So here is what has been happening and why there is a difference in the dates for the two zodiacs. The cosmos is constantly moving. The constellations are moving in a way that is called “precession” and are progressing through the heavens in a way that puts them now in different places than they were, say, a thousand years ago. 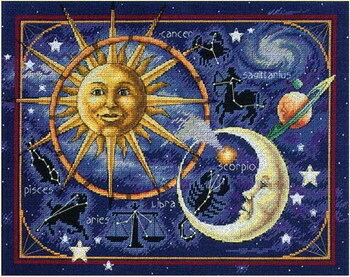 The present popular western tropical astrology uses the dates for the signs that were used back in ancient Rome. At that time the sun really did move into Aries on March 20th. Now, the seasons haven’t really changed. Spring still starts on March 20, but the sun is in the sign Pisces on that date these days. Sometime far into the future the sun will be in Aquarius on that date because of the precession of the constellations. I think people got used to thinking of astrology in terms of the seasons, and not which constellations were actually overhead. That makes sense and seems like a natural way to think, especially if you don’t have access to a telescope and the knowledge of an astronomer to go with it. A man named Cyril Fagan, who lived in the early part of the 20th century, was the main person to start rocking the boat and say, “Hey, you astrologers, your charts are wrong!” Of course, the astrologers ignored him. It would mean getting a brand new ephemeris and trying to explain to people why you are suddenly changing their sign. That would be way too inconvenient, so most of those astrologers decided to not listen to Cyril. Mr. Fagan was much better at math than I am and could explain all about precessions and that sort of thing in detail mathematically. If you would like to read about all the math and such involved in explaining precessions you can read his book, Primer of Sidereal Astrology. May 15th to June 16th: Sun is in Sidereal Taurus. June 16th to July 17th: Sun is in Sidereal Gemini. July 17th to August 17th: Sun is in Sidereal Cancer. August 17th to September 17th: Sun is in Sidereal Leo. September 17th to October 17th: Sun is in Sidereal Virgo. October 17th to November 17th: Sun is in Sidereal Libra. November 17th to December 16th: Sun is in Sidereal Scorpio. December 16th to January 15th: Sun is in Sidereal Sagittarius. January 15th to February 15th: Sun is in Sidereal Capricorn. February 15th to March 15th: Sun is in Sidereal Aquarius. 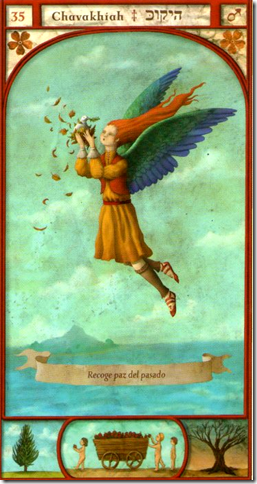 March 15th to April 15th: Sun is in Sidereal Pisces. April 15th to May 15th: Sun is in Sidereal Aries. Recently I had Marie Spider at http://millifluer.com/ do a basic chart for me. I was blown away by her accuracy. I had felt a little like a Sagi all these years but I really identify with a Scorpio sun sign which I am in the sidereal system. I had thought the Scorpio I felt before was from my sun being so close to the 8th house, but a Scorpio sun makes more sense. I still have Sagittarius tendencies because of my Mercury in Sagittarius. The Aries I felt from a moon I thought was in Aries is really from my Aries ascendant, and a Pisces moon adds some information that was lacking in the tropical system of astrology. Here are some websites that explain Western Sidereal Astrology in more detail. See what you think. I am a convert to the western sidereal system and will be using that system as a reference in my blog posts from now on. 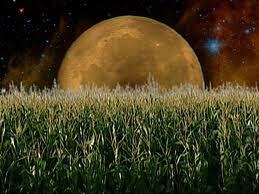 My Manifesting with the Moon blogs will now focus on the sidereal system. I think we are going to start seeing more and more sites and blogs focusing on sidereal astrology, and we will have more access to info to help us learn a new way of looking at ourselves and those around us through the heavens.